Rev. Sandra Felder was born and educated in Buffalo, New York, and came to Rochester in 1972. She is a licensed and ordained minister, and graduate of Rhema Bible Training Center in Broken Arrow, Oklahoma. With over 30 years experience in many areas of ministry, she has greatly influenced and impacted many lives for Jesus Christ. Rev. Felder is a dynamic and anointed preacher and teacher of the Word of God. Her focus is preaching righteous living and preparing to see Jesus. In June of 2006, Rev. Felder obeyed the call of God to plant a church in the heart of Rochester called Rhema Life Community Church; a blessed and prosperous, growing church with Kingdom vision. Her passions also include a love for teaching Catechism, Prayer and Healing school, at home and abroad. She also has a long-term vision to establish a place called the Zoe House for terminally ill people along with a recovery home for drug, alcohol addicted, and abused women. Rev. Felder also plans to have accomodations for the elderly called the Mary E. Jenkins Senior Living Apartments. Rev. 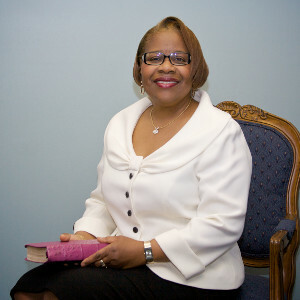 Felder is active in the Rochester community, conducting funerals for unchurched families and providing ministry in her church neighborhood.